A look at the future of 3D Internet: expanding into education, business, medicine and beyond. The Internet is having a mid-life crisis: Having just turned 40, it’s starting to go 3D. The transition is still in its early stages, but champions of the cause say it’s both natural and inevitable, with mass adoption expected within a few years. 3D will make the Web more social, they say, and it will introduce powerful new ways for people in education, business and medicine to interact with content and with each other.Jani Pirkola, an evangelist of the 3D Internet in the Finnish high-tech hotbed of Oulu, predicts it will take off in 2018, with younger users and educational institutions leading the way. And he expects it will catch on faster than the 2D Internet did. What is the 3D Internet? Think of it as a set of interconnected virtual worlds that users can visit to consume services, “teleporting” from one world to another. It uses many of the same basic technology components as the 2D Internet—a browser, search engine and servers, for example. But what sets it apart is the use of 3D computer graphics and, in many cases, avatars—which Pirkola says will make it more social than the 2D Web. Virtual worlds and the use of 3D online are nothing new, but their use so far has been mainly recreational. Avatars, teleporting and 3D environments are the stuff of numerous video games as well as online virtual worlds such as Second Life. Meanwhile, companies such as 3DInternet use 3D videos and simulations to create immersive training programs for electric utilities, the military and first responders, among other clients. But proponents say the 3D Internet will expand beyond these use cases into education, business, medicine and other areas—a prediction that’s supported by a recent report by tech research firm Gartner. 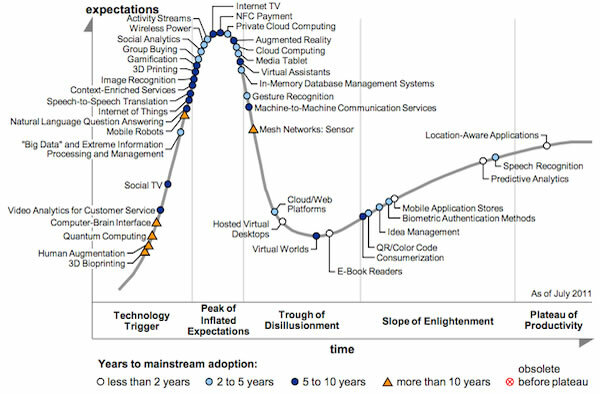 According to the firm’s 2012 “hype cycle” chart of emerging technologies, virtual worlds are five to 10 years from going mainstream—or reaching the “Plateau of Productivity,” as Gartner terms it. “I think we’re going to see more use of virtual worlds as a new medium that can bring many of the communication technologies together,” says Juha Ala-Mursula, executive director of Oulu’s economic development agency, BusinessOulu, which last year rolled out a free prototype of realXtend to the city’s residents. A report on the virtual worlds market by consulting firm KZero finds that the total number of registered accounts for virtual worlds in 2011 was about 1.4 billion—over 400 million more than in 2010. The report illuminates another key trend: The vast majority of those accounts—97 percent—belong to users younger than 25, and 70 percent of them belong to users under the age of 15. That’s significant, Pirkola says, because 10 years from now the people in this demographic block will start to make business decisions, and will gravitate to the communications technologies they’re used to. One caveat: If you expect surfing the 3D Internet to look like some endless video game with stunningly lifelike graphics, get ready to be disappointed. Pirkola points out that the virtual worlds in high-end video games are the work of dozens of artists backed by feature film-like budgets. By comparison, the 3D Internet may look utilitarian. Early examples of 3D Internet services—or at least, 3D-ready services that will be fully 3D when the technology matures—include a travel service by CyberLightning that enables potential tourists to virtually visit the city of Oulu, a nearby beach and a nearby skiing resort. Another example is a realXtend project that enabled users to visit virtualized art galleries at the Berlin Gallery Weekend 2012. While in some ways simple and cartoonish, both provide a sense of the potential for 3D services. Pirkola says the 3D Internet user experience will get better as computers’ processing power increases and, in some cases, as avatars themselves evolve. Users will one day be able to use their webcam to capture facial expressions and hand movements and relay them to their avatar, making avatar interactions “more like face-to-face communication than a video call can be,” he says. As for the range of services that can benefit from 3D, it includes everything from virtual meetings (think a next-generation telepresence), trainings, simulations and educational sessions to chat, support group meetings in the healthcare field, and even shopping for clothes, furniture and cars. Imagine being able to configure your new car’s upholstery and other settings before you buy it, and use your avatar to see how well you fit in it. Where the 3D Internet gets really interesting is in its intersection with the Internet of Things and augmented reality (AR), which opens up the possibility of controlling the real world from the virtual world. Potential use cases vary from a virtual visit to grandma to controlling elements like temperature, lighting, media and door locks in buildings. Virtual versions of large buildings or industrial plants, for example, can make it much easier and faster than current technologies to pinpoint the source of an alert and respond to it. Much of the early work on the 3D Internet is being done out of Oulu, about 375 miles north of Helsinki. For example, Intel and Nokia’s first collaborative research laboratory, the Intel and Nokia Joint Innovation Center, is located in the Center for Internet Excellence (CIE)—a research and innovation unit at the University of Oulu. And both CyberLightning and realXtend are based in Oulu. As a result of the 3D work underway there and elsewhere, myriad virtual worlds have bloomed around the world, along with different flavors of 3D platforms, such as Open Wonderland, MeshMoon, OpenSim and Sirikata. Pirkola says realXtend aims to become the platform for the 3D Internet, but that there’s a lot of collaboration among platform developers because it’s an open source effort. The immediate challenge developers face is a need for common standards for avatars and virtual worlds to ensure interoperability. “The 2-D graphical user interface has reached its potential and it’s time to move on and conquer the 3-D world,” says Ala-Mursula. Will the 3D Internet replace the 2D Internet? Pirkola says not, and predicts people will use 2D and 3D apps side by side based on need. Laurence Cruz is a freelance writer based in Los Angeles. A UK transplant, he has worked as a reporter with The Associated Press in Seattle and as an environmental reporter for The Statesman Journal in Salem, Oregon. He has a BA in English from Oxford and an MA in Communications from Washington State University. This article is used with the permission of thenetwork.cisco.com.